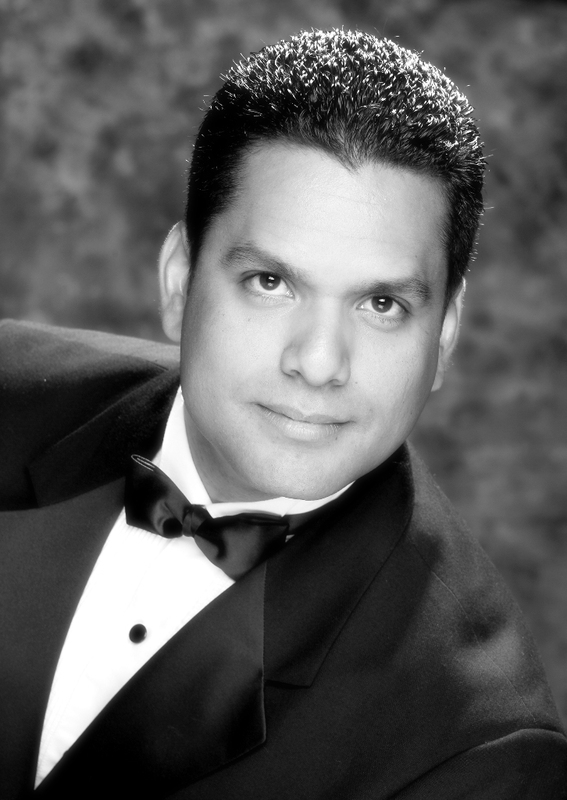 Bass-baritone Carlos Monzón participated in the prestigious Merola Opera Program, portraying Leporello in their 2008 production of Don Giovanni. He sang Basilio in Il barbiere di Siviglia with Opera Idaho in 2006; Il Sagrestano in Tosca, Don Annibale Pistacchio in Il campanello di notte, and Dr. Pandolfo in The Maid as Mistress with Spokane Opera; Il Bonzo in Madama Butterfly with Opera Plus! ; and Uin-Sci in L’oracolo and Le Diable in Grisélidis with Willamette Concert Opera. As an Artist in Residence with Pensacola Opera he sang Moralès in Carmen and covered Raimondo in Lucia di Lammermoor. He was an Apprentice Artist with Des Moines Metro Opera in 2005, covering the Four Villains in Les contes d’Hoffmann. Mr. Monzón‘s other performances include Figaro in Le nozze di Figaro, Kaspar in Der Freischutz, Bottom in A Midsummer Night’s Dream, Colline in La bohème, and Don Alfonso in Così fan tutte, among others. Mr. Monzon’s upcoming roles with FGO include the Doctor in La traviata, Alidoro in La Cenerentola, Antonio in Le Nozze di Figaro and Bonze in Madama Butterfly.